In order to deal with a single costume that has different prices based on size, it is necessary to create a costume for each price, however, some organizations choose to use an average price and create one costume. You may want to read through both options prior to deciding how you prefer to proceed. To force Jackrabbit to look at both Child & Adult Size Charts, create one chart with both child & adult sizes. If a size overlaps (for example, with a Child XL and an Adult XS, tweak the girth range to accommodate for this. Otherwise, Jackrabbit will assign the first size it sees that fits the student's girth - the Child XL). This is an example of a female size chart offered by Revolution Dancewear. Create one size chart including both child & adult sizes. Adjust the girths to avoid overlap. When auto-sizing, Jackrabbit will assign sizes properly based on the combined chart. 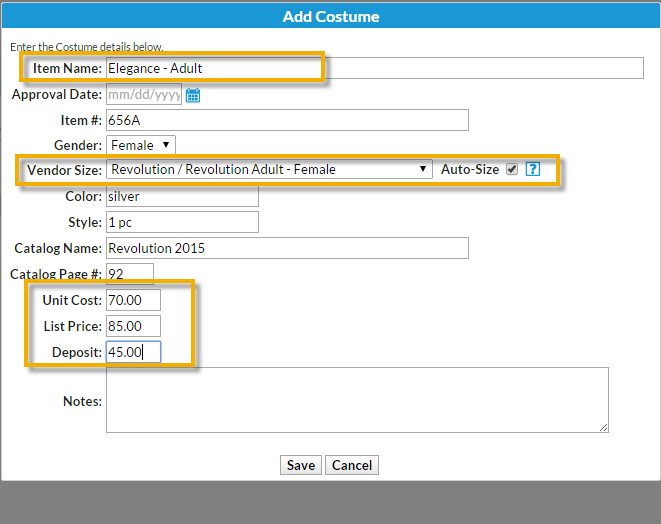 All reports & purchase orders in Tools > Costume Management will display the averaged pricing. To maintain exact prices for costumes, create two size charts for a vendor - one for child sizes and another for adult sizes. Add a child costume to the class using the appropriate Vendor Size Chart and the exact unit cost. In this example, since Auto-Size is checked, any student that meets the girth ranges in the Revolution Child - Female chart will be sized. In this example, one student (with a girth of 62) did not meet the criteria and was left unsized. 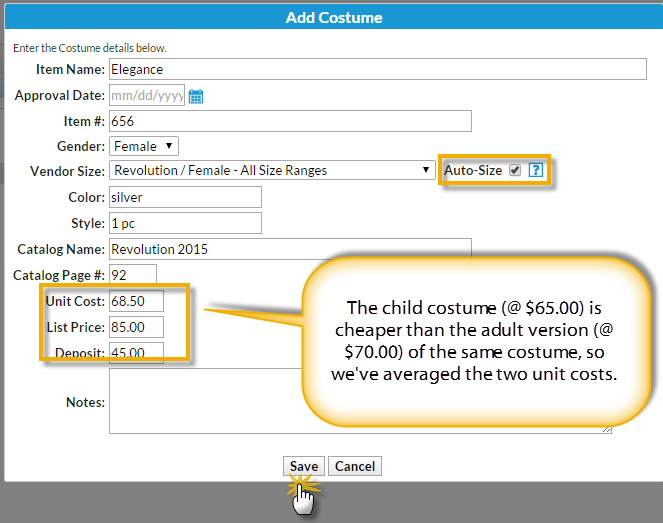 Add an adult costume to the same class using the appropriate Vendor Size Chart and the exact unit cost. In our example, all students are correctly sized. 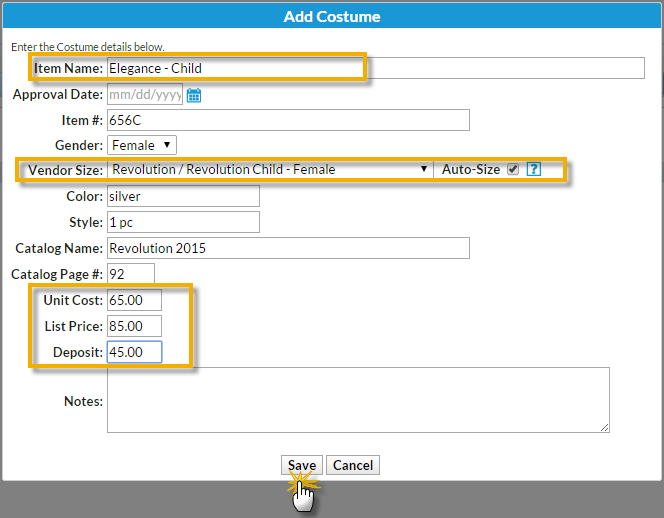 Students who fall into the Revolution Child Size Chart are correctly sized for that costumes & the student who fell into the Revolution Adult Size Chart is correctly sized. Unit pricing is also correct. All reports in Tools > Costume Management will maintain correct unit costs, etc.